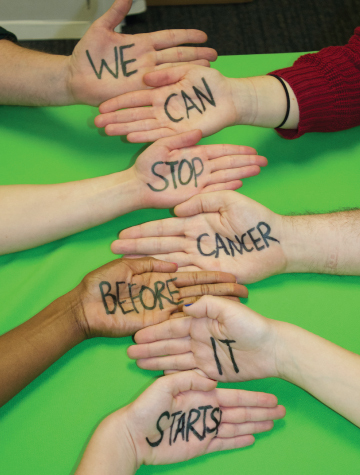 Prevent Cancer Foundation is the only U.S. nonprofit focused solely on cancer prevention and early detection. Founded in 1985, it fulfills its mission through research, education, ourreach and advocacy. The Prevent Cancer Foundation® is the only U.S. nonprofit organization solely dedicated to cancer prevention and early detection. • Engaging lawmakers and regulators through education and advocacy to promote the enactment of laws and regulations that support cancer research and prevention. We amplify our impact by working both individually and as part of a community of grassroots advocates and advocacy organizations. When the Prevent Cancer Foundation® was founded in 1985, the concept of cancer prevention and early detection was not widely embraced by the medical community or the general public. Today, cancer prevention and early detection are at the forefront of reducing cancer diagnoses and death. We have played a key role in changing this perception. Dorys Lizama, a passionate patient navigator for the Prevent Cancer Foundation’s ¡Celebremos la Vida! (Let’s Celebrate Life!) program. Celebremos is a culturally-appropriate breast and cervical cancer education and screening program for underserved Latina women ages 40 and older in the D.C. metropolitan area. The program encourages women to get yearly check-ups, eat healthy, move more and spread the message of cancer prevention and early detection to women in their families and communities. For the past five years, Dorys has been the embodiment of the Celebremos program for women in the D.C. metro area, going above and beyond her required responsibilities to make sure that every woman is taken care of. She sends appointment reminders by personal text message and visits cancer patients in the hospital. She also works to reduce the personal and social burden of obesity and related chronic diseases like cancer, heart disease and diabetes. The Prevent Cancer Foundation® supports research in cancer prevention and early detection and has provided funding for important research grants or fellowships at some of the most prestigious academic institutions and medical centers across the country. The goal of the Prevent Cancer Foundation’s Research Program is to identify and fund innovative projects with potential to make substantial contributions to cancer prevention/early detection. Of particular significance is the Foundation’s support of early-career scientists. Research funding from the Foundation has contributed to several major developments in cancer prevention and early detection and provided startup funds to many successful prevention researchers. Think About the Link® is a multi-year prevention education campaign advancing awareness of the connection between cancer and viruses. This bipartisan group of spouses of members of the U.S. Congress, Executive Branch and Supreme Court spreads the message of cancer prevention and early detection to people across the country. The Congressional Families Cancer Prevention Program is a signature program of the Prevent Cancer Foundation® and has been ongoing since 1991. The Dialogue for Action® is an annual national conference committed to realizing the lifesaving potential of cancer screening for all communities. Dialogue convenes a diverse group of cancer-screening stakeholders: primary-care clinicians, medical specialists, survivors and advocates, researchers and health educators, representatives of the biopharmaceutical and diagnostic industries, third-party payers and staff from public health agencies on the national, state and county levels. This annual meeting brings together oncologists, surgeons, pulmonologists, radiologists and computer and imaging scientists, along with representatives of federal agencies and the pharmaceutical and diagnostic imaging industries, to explore the use of spiral CT imaging as a tool for detecting lung cancer, chronic obstructive pulmonary disease (COPD) and cardiovascular disease, the three leading causes of death in the U.S. The Prevent Cancer Foundation® supports educational programs or services focused on cancer prevention and early detection, especially those in underserved communities across the United States. Annual funding priorities reflect the Foundation’s goals and direction. Now in its 23rd year, ¡Celebremos la Vida! is a trusted breast and cervical cancer education and screening program for medically underserved Latinas over the age of 40 in metro Washington, D.C., (including suburban Maryland and Virginia) and McHenry County, Illinois. The purpose of the program is to provide lifesaving services to women who, because of language barriers, lack of insurance and residency status, are unable to access other programs. 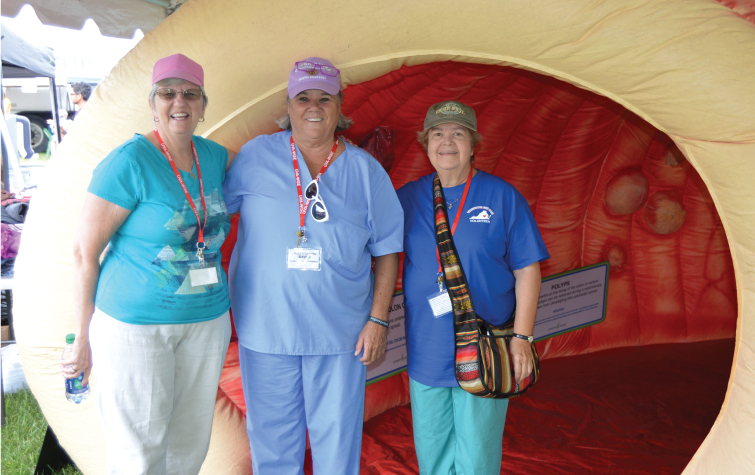 The Prevent Cancer Foundation Super Colon®, a 20-foot long, 8-foot high, inflatable replica of a human colon, illustrates for visitors the differences between healthy tissue, colon diseases and various stages of colorectal cancer. The Super Colon is the first of its kind and teaches about risk factors, symptoms and screening and treatment options for the second-leading cancer killer of Americans. The Foundation has sponsored health awareness and cancer screening booths at state fairs across the country and at community events to provide information and screening to rural populations. Cancer PreventionWorks is the Foundation’s consumer newsletter. It includes articles about healthy lifestyles and tips to prevent cancer and detect the disease early when it is more easily treated. The advocacy newsletter provides up to date information on relevant state and federal advocacy, policy and regulatory topics. One goal of the newsletter is to inspire local grassroots advocates to act on various pieces of legislation or issues, using materials provided by the Prevent Cancer Foundation® to make these actions turnkey. In 2016, it is estimated that over 134,490 new cases of colorectal cancer will be diagnosed, thought to be largely due to increased screening. Breast cancer remains the second leading cancer diagnosis for women, behind skin cancer and more than 2,300 men will be diagnosed. For cervical cancer, the estimated number of new cases is more than 12,900; screening has been highly successful in bringing down the number of diagnosed cases over several generations, although the decline in cases has slowed. For lung cancer, the estimated number of new cases is 224,090 in 2016 with over 150,000 deaths. In total in 2016, an estimated 1,685,210 new cases of cancer will be diagnosed in the United States and 595,690 people will die from the disease. Through research, education, outreach and advocacy the Prevent Cancer Foundation is working to reduce these numbers. The Prevent Cancer Foundation is one of the nation's leading voluntary health organizations and the only U.S. nonprofit focused solely on cancer prevention and early detection. 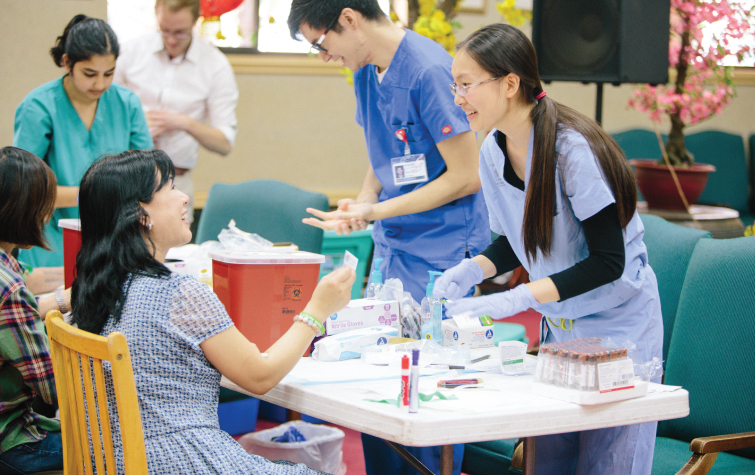 Founded in 1985, it has catapulted cancer prevention to prominence and fulfills its mission through research, education, outreach and advocacy across the country. Since 1985, our peer-reviewed grants have been awarded to nearly 450 early-career scientists from more than 150 of the leading academic medical centers nationwide. The grants and fellowships selection process utilizes a research proposal review system similar to that of the National Institutes of Health. We have expanded our grants process to a few select international programs bringing cancer prevention and early detection strategies to underserved areas. The Foundation has also provided more than 10 technology transfer grants to researchers from across the world to study under leading physicians in their field. One researcher from India was able to identify additional biomarkers, ways to find cancer in the body, for prostate cancer, one of the leading cancer diagnoses for men in India. 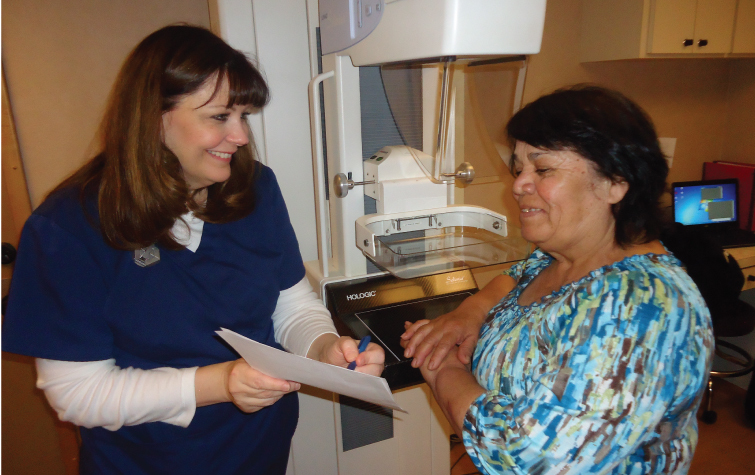 More than 1,000 women are served every year by the Celebremos la Vida program providing breast and cervical cancer screenings to underserved Latinas free of charge. Our Think About the Link program, in just two years, has been to more than 15 cities across the country, held multiple testing events (for Hepatitis B and C), educated the states and populations most disproportionally affected by viruses that cause cancer (including Human Papilloma Virus), garnered two celebrity spokespeople, translated all materials and websites into Spanish and Mandarian Chinese, and run multiple public service announcements and billboards in major cities. - 4 Stars through Charity Navigator. Prevent Cancer Foundation Super Colon® in action!